Pamela Munro has rejected a request for her blessing to reopen the deli where teenager died in 2016. 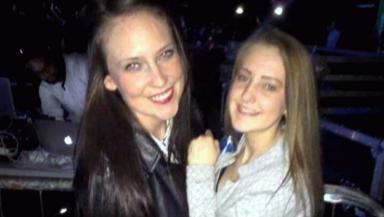 Murdered schoolgirl Paige Doherty's mum has hit out at plans for the building where she died to reopen as a deli. 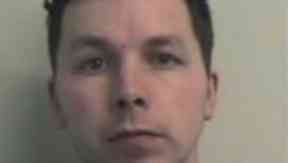 Paige was 15 when she was stabbed more than 140 times by John Leathem at his deli in Clydebank, West Dunbartonshire. The teen was reported missing after the killing on March 19, 2016, and her body was found dumped at the side of a road two days later. Leathem rented the premises, then known as Delicious Deli, for three years before he committed the murder. Plans are now afoot for it to reopen as a deli, but they have been forcefully rejected by Paige's family. Pamela Munro with her daughter. 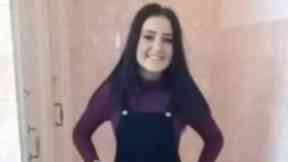 Her mum Pamela Munro said: "It's really distasteful to re-open it as a deli and it wasn't a good time for me to be told [near the anniversary of Paige's death]. 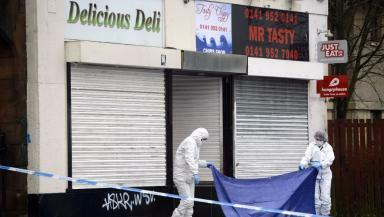 "I don't want to see it opened again - and certainly not as a deli. "My kids won't be able to visit family in Whitecrook because I can't allow them to see that open as a deli, it would terrify them. "We can't give our blessing for the place our daughter was killed to be re-opened as a deli. "We were approached about a picture being hung in Paige's in memory which we've not really thought about but it's inappropriate." Paige was stabbed 61 times by Leathem who had no previous history of offending and suffered a further 85 minor wounds - bringing the total to 146. Leathem was jailed for at least 23 years after pleading guilty to murder. Under the new plans, the building would be taken over by a nearby foodstore which wants to expand. The building's owner Mr Singh said: "If it doesn't open as a deli, it's going to open as something else because we're not losing money. It's been three years, we can't change the past. John Leathem was jailed for a minimum of 23 years. "We're very sorry about what happened to the girl but you've got to move on, we can't leave it. "We did have discussions with [the foodstore] because they've got a deli inside the shop, it would make sense because they're running the deli anyway. "She's trying to get the backing of the family and if everything's fine, it will go ahead."